Masline does a lot of work to make things go around the Fond Blanc Orphanage! She is in charge of moping, dishes, cooking, and many of the younger girls. She works very hard and on top of it all, is working hard on her own education! After helping to prepare all the meals, her favorite thing to do is to sit down to eat and enjoy the food. Maseline is from Fond Blanc and lives here with her little brother Nerrison. They moved here in March of 2013. Her little sister, Chanaica, now also lives here with them. They also have another brother that lives at home with their parents. Her mother stays home, and her father works for a doctor. Her favorite subject in school is Social Sciences. 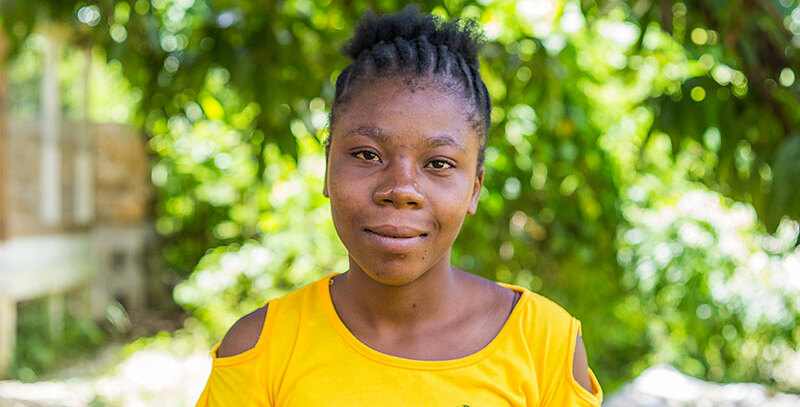 Like many others here, she would like to be a doctor or nurse when she finishes school. She enjoys caring for people and would like to care for her parents. Her best friend is Jasmine, and they love living with each other.